critical infrastructure to active Cloud servers in minutes. Pay per GB (as low as $0.22/GB) and per VM. 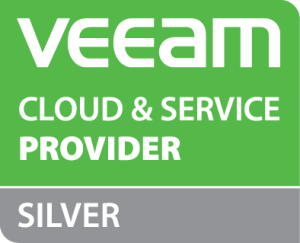 Use your existing Veeam console to begin replicating to a secure cloud host. Full and partial site failover with RPO and RTO of less than 15 minutes. Your infrastructure in the cloud will keep your business running on the ground. Unlimited self-service testing and failover. Failover yourself or allow our experts to manage it for you.